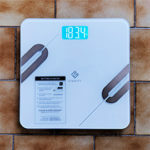 Nowadays, being connected to the internet is mandatory, it’s how we stay in touch with our friends, how we read the news, how we listen to music and overall how this new high-tech society communicates. And this is a great thing because it’s a tool for new advances in a lot of technological fields. 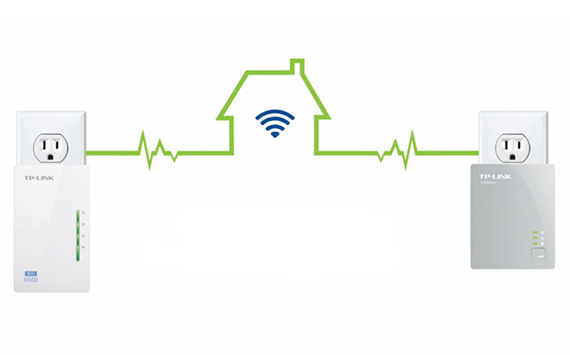 But this is not all, we now have a lot of smart devices in our home, like smart thermostats, motion detectors, smart TVs and even smart kettles, so having a reliable Internet network is what constitutes the heart of smart homes and interconnectivity. How do we get a reliable Internet network? There are multiple ways to do this. One option is to have a good wireless network. This is obviously the most preferred solution, considering that people dislike having to deal with wires stretched around the house. 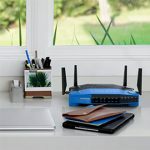 In order to accomplish this, you either must have a high-performing router that (hopefully) will cover all the house or try to cover the home with extenders. You can also use a WiFi mesh system like Eero or Luma . The problem is that there are always interferences (thick concrete walls, microwaves, crowded channels, distance and so on). 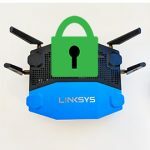 A system of extenders may deliver an acceptable experience for browsing, video streaming or file downloading, but it may under-perform while gaming. And that gets us to the second option, a mix of both wired and wireless networks. Obviously this is the preferred option if you want the best performance, but this implies that you have to run some wires through your home and possibly have more than one access points. 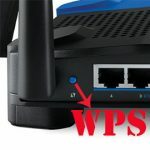 However this solution will ensure that you have a great internet connection and allow both wired and wireless clients to connect. What if you don’t have the means to run wires all around your home, but still want a better performance than that of wireless repeaters? Well, you could use powerline adapters. 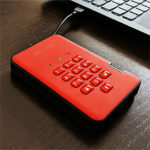 Usually, Powerline adapters have a compact and practical design, with three LED lights for Power, Powerline and Ethernet, buttons for Reset and Security and a port for Ethernet. Just as the name suggests, the powerline adapter uses the electrical lines in your home to carry data packages, just as network cables would. So, you get a similar performance as a wired network, but without the dreaded wire mess. In order to further understand the power line concept, we’re going to delve a bit into history. We know you may not like it but bear with us, because it will make sense when you will want to understand what those numbers in the name of the adapter mean. The powerline technology was developed by HomePlug Powerline Alliance in 2001 as a means to enable device communication through the electrical wiring. 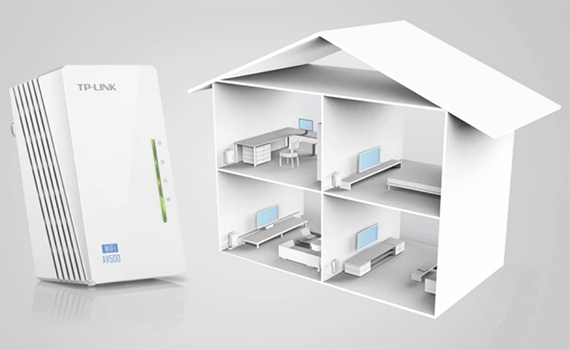 The first powerline protocol, the HomePlug 1.0 could deliver a maximum of 14 Mbps. In 2005, it was introduced the HomePlug AV (Audio-Video) specification, which was a lot more capable, being able get to as high as 200Mbps (AV200) and had a 128-bit AES encryption. Even though the HomePlug 1.0 is obsolete now, if you still have a working unit in your home, worry not as it will still work just fine along the newer AV’s. In 2010, after the IEEE 1901 specification was approved, some manufacturers have boosted the HomePlug’s capability up to 500Mbps (AV500) using different chipset configurations and, while before the Powerline was operating as an independent standard, from then, it could work and communicate with adapters from different manufacturers. The latest iteration is the HomePlug AV2, released in 2012, it’s capable of delivering Gigabit class bandwidth and low latency for data transfer and it also supports the MIMO technology (better throughput by using multiple antennas for data streaming). Note: Not all powerline kits use the HomePlug specifications and a promising technology called G.hn has caught our attention (The Comtrend G.hn Powerline Adapter Kit), its speeds matching those of the HomePlug AV2. How do powerline adapters work and how to use them? We made it quite clear that you use the electrical wiring as Ethernet cables, but how can this be possible you may ask. It’s actually quite simple, it’s all about the frequency. The electricity wiring supports a large array of frequencies, so, while the electricity uses 50Hz or 60Hz (depending on the country), you can also send along data packages at a different, more higher frequency, without worrying about interferences (and reduce the electrical noise). Note: You can also see this system as similar to how the DSL service uses the telephone landlines. 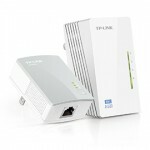 The usual powerline adapter setup (the wired one) consists of two or more units (the starter kit comes with two adapters), the first one being connected to a router and the second to an Ethernet compatible client (printer, PC, console). 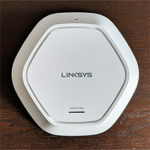 The reason why you must insert the first adapter to a router is because the powerline units can’t assign IP addresses automatically (DHCP) to new connected devices. A single unit is useless on its own and depending on your home, you may need multiple powerline adapters. If you want to purchase more units later to extend your network further through a larger home, make sure that all the adapters are compatible with each other. 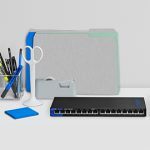 Also, keep an eye on adapters that have more than one network ports as it may come in handy if you have multiple Ethernet-ready devices close to each other. The beauty of this system is its simplicity, you only have to plug the adapters into a power socket and connect the Ethernet cables to a router and other devices and you’re done. Some adapters may require you to press a sync button (for security reasons, to enable the encryption), but there aren’t any configurations or settings you need to worry about. 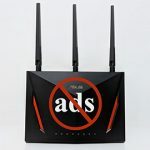 What about wireless clients? 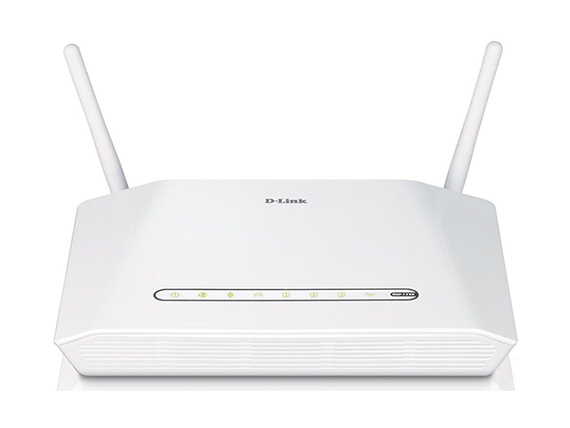 You have two main options, you either connect wireless access points to the powerline adapters (you can also use old or unused routers as access points) or have a powerline adapter with a built-in access point (TP-LINK TL-WPA4220KIT Advanced AV500 Wi-Fi). 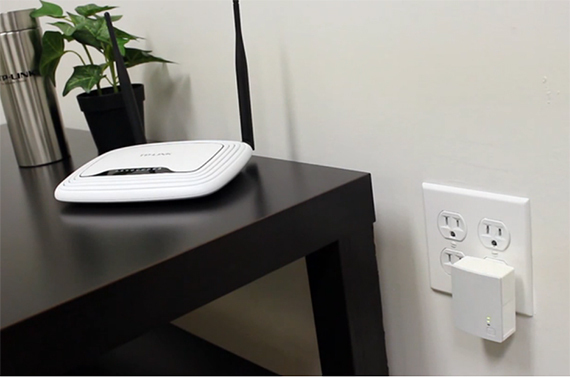 This way, the wired network is transmitted from the first adapter to the second one, which further creates a wireless network so all your devices can connect. 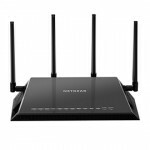 Note: If you don’t want to have a router and a powerline adapter separately, you can also have a look at routers which also have built-in powerline capabilities (like D-Link DHP-1320 Wireless-N PowerLine Router). How reliable are the powerline adapters? It depends on the electrical wiring of your house. First of all, the distance does matter. If there is too much distance between two adapters, as similarly to cables, the signal loses its strength. Secondly, it is ideal if both the base adapter and the second unit could to be placed on the same circuit, because if the signal has to cross from one circuit from another, it will lose signal strength (the signal won’t transition to circuits on different electric panels). It’s also important that the adapter should not share the outlet with some home appliances that need more power (or have a motor), because, again it will degrade the signal. Surge protectors are also not compatible with powerline adapters, because, while they do protect your devices, will render the adapters useless. If your home meets these conditions, then a powerline network should work without problems. Can you use powerline adapters for gaming? Yes, a powerline network has less latency than a wireless network does, so it should work just fine with gaming. Are the powerline adapters secure? Obviously security plays a major role and it’s only natural to worry about if your data leaking outside of your network. The main concern may be if your neighbours can get access to your network. The short answer is no, because while it’s true that the signal is blocked when it hits a transformer (circuit on a pole, not the robot) and theoretically could reach your neighbours home, this signal will be encrypted. When you set up the powerline adapters, part of the instructions will be to press the encryption button. The encryption is usually a 128-bit AES, similarly to what your router uses, so it’s quite safe. 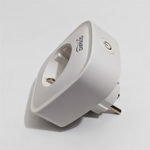 The problem that may arise is if you buy incompatible adapters (having the same specification – HomePlug or G.hn), because they usually don’t play nice together. The incompatibility may translate in the void of security and may leave you open for attacks. Note: Some powerline adapters also allow for an in-browser configuration. Is the powerline technology future-proof? Yes, powerline adapters are in continuous transformation and some should be compatible with smart home devices. The HomePlug Green PHY is a new standard which won’t replace the faster AV2 standard, because of its lower speed cap, but works really nice with HVAC devices and has a lower power consumption. 1. No more cables all around the house. 2. Less latency than a wireless network. 3. 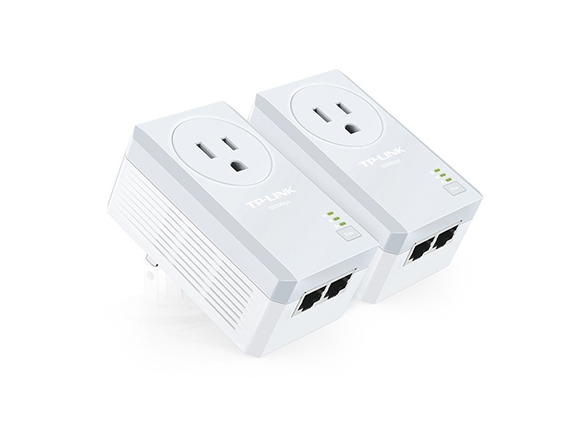 Adapters can be wired-only, with a wireless access point, with an integrated socket (TP-LINK TL-PA4020P KIT AV500), with more than one LAN ports and so on. 4. Allows in creating a large, complex network consisting of both multiple routers, access points, repeaters and powerline adapters, all working together. 1. Some adapters can completely cover the wall outlet. 2. The performance can be extremely subjective, relying on the quality of the electrical wiring.